Why use a larger pen needle when you can use the new BD Nano? It's shorter, thinner and more comfortable. Try it for yourself and feel the difference the new BD Nano makes. 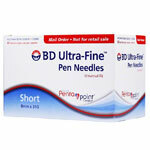 The BD Ultra Fine Nano Pen Needles are more comfortable with short, thin needles. That's why BD has developed the Nano...their smallest needle ever. 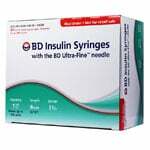 At just 4mm, the BD Ultra- Fine Nano is clinically proven to be as effective as longer needles for people of all sizes. BD is the only brand of pen needles you will ever need. 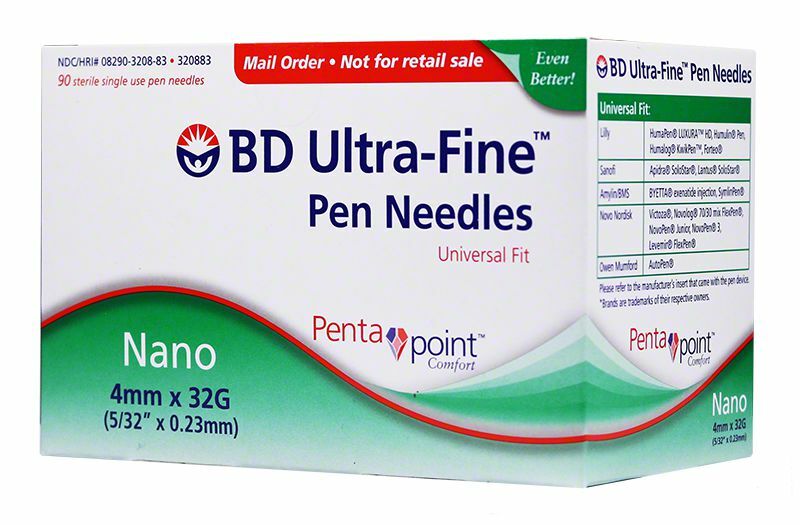 Not only are BD Ultra-FineTM Pen Needles technologically advanced to deliver the most comfortable injection, THEY ARE GUARANTEED TO FIT ALL DIABETES PENS AND DOSERS SOLD IN THE U.S.
50% shorter and 8% thinner compared to the BD Original. They're fine. Just like the ones I've been using. My pharmacy was out of stock and I was almost out of needles. Delivery was quick and on time. Faster than my pharmacy could get them. Straightforward, easy ordering online. Will definitely use this service again. I’ve been using these little pen needles for years. ADW’s auto-refill on the order makes getting these delivered to my home easy, and their pricing is lower than my insurance copay would be at the local store. This is a WIN-WIN for me! I use these on my diabetic med pens. Saved a bunch. Actually less from ADW than my "Part D" cost share with Medicare/Suppliment Plan - 60% plus savings!. Great service. Delivered on time - actually early. Fast delivery, exactly what I needed and 20.00 dollars cheaper than my copay at popular drug store. 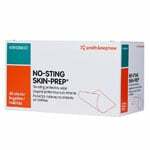 Ty very much and will continue to order these and my test strips also. I tried a store brand. I won’t make that mistake again!